Summer is winding down and the final few weeks are excellent opportunities to take advantage of last-minute vacation deals. 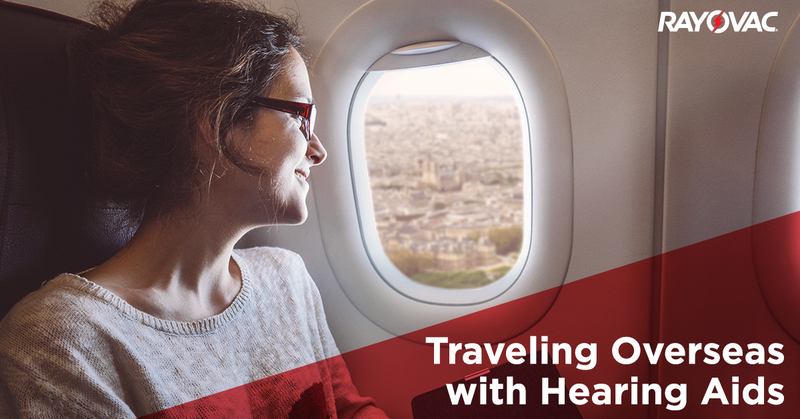 But if you’re hearing impaired, or have somebody in your family who is, then traveling—especially via plane or oversees—can be quite tricky and sometimes even stressful. The new environments, chaotic noise levels and busy schedule can easily become overwhelming if you’re not prepared. The good news is that after reading these tips you’ll be ready to handle any hearing-related situation that you might encounter while traveling. Sometimes the simplest steps are the easiest to forget, such as making a list of every hearing-related item you’ll foreseeably need during your journey and then double checking your supplies. It’s a huge pain if you realize that your extra tubing, remotes, portable chargers or hearing aid batteries got left behind. So although it’s a bit cliché, you can prevent yourself from having to make supply pit stops just by double checking that list. Plus, if you have an old pair of hearing aids, it’s smart to pack them as well for emergency situations. If you’re traveling abroad, pack the appropriate power outlet converter as well. Many countries don’t use the same voltage levels or appliance connector ports that the United States does. Here’s a useful list to check what each country uses. Now that your list is made, the items on it are packed and everything is double checked, we advise that you keep all of your hearing equipment in a carry-on bag. The rule of thumb is that checked bags can be lost, delayed or destroyed. Anything that is absolutely necessary for you to have should be kept in a carry-on bag for ease of travel. After you’ve set out on your trip, the next step is to ensure that you can communicate with the staff that will be helping you. The simple way to do this is find the person who best meets your current needs, and then ask them to find you in case an auditory announcement is made. This is especially useful if you’re at the airport and your flight changes gates, departs early or is arriving late. The other option is to opt-in for email or text message alerts regarding changes to your travel itinerary. Most major airlines or train companies offer this opportunity if you order tickets online. If you’re taking the digital route, then also save the email verification you get to minimize the amount of talking and listening you’ll need to do. Otherwise, look into what hearing resources your hotel or hostel have at hand, or see if they’re able to make accommodations for you. Sometimes hotels can let staff know that you might not respond to telephone calls or knocks on the door, and that a standard alarm clock won’t suffice. There are no current restrictions about hearing aid devices on airplanes, even the devices with wireless technology. You’ll be able to have your device on the entire flight if you wish. However, FM assistive devices fall under the same category as cell phones and laptops, so you’ll need to keep that off to limit transmitting any radio waves. Do be aware that your hearing aids will likely pick up excess levels of noise above the wing or near the back of the plane, so if you’re able to choose your seat then you might want to pick a spot closer toward the cockpit. Hearing aid users might be surprised to discover how filthy and bacteria-ridden crowded tourist spots can make their aids. While you’re moving from location to location, remember to keep your hearing aids clean by wiping them down every evening and using the appropriate maintenance routines for your specific device. And if you’re heading to a particularly sandy or dusty area, remember to protect your ears and the devices. Sand and gritty dust or saltwater are lethal to hearing aids. Lastly, the most obvious advice: actually wear your hearing aid or cochlear implant during your trip, but especially before you walk out the door. Leaving behind a toothbrush or small trinket isn’t a huge hassle, but if you forget your hearing aids or hearing accessories the day you leave then it’s going to be a major headache that will likely hamper the overall mood of your trip. But simply wearing the aids serves as an easy way not to leave them behind. The devices don’t set off alarms at airport security, and actually wearing the device through the chaotic airport will help you better navigate and answer customs agents’ questions and hear flight announcements.